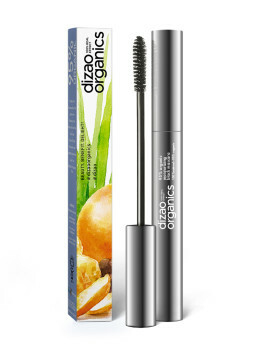 Dizao Organics moisturizing mascara with organic rice bran and coffee extracts, and precious carnauba wax. - the power of rice bran for protection, nourishment and replenishment of eyelashes. Bran extract creates a protective barrier, whilst enriching eyelashes with nourishing proteins.